Well, this past week has been so full of regular life scheduled stuff and obligations that it simply hasn't allowed me to do anything new at all. With work, work, more work, work trip, grocery shopping, laundry, and yada yada yada, bla bla bla - you know what it's like - I have just been too exhausted to even think about anything else. So I guess my only new-ish thing is my monthly cooking night. This month I decide to up the ante a little and go for a slightly more difficult choice for the main course. I had a crazy-moment for a while when the recipe said to use clarified butter and I had no idea how to get it just that but I got through it and got a comment from the husband that it was the best I had made yet this year. Not bad. Not bad at all, I say. 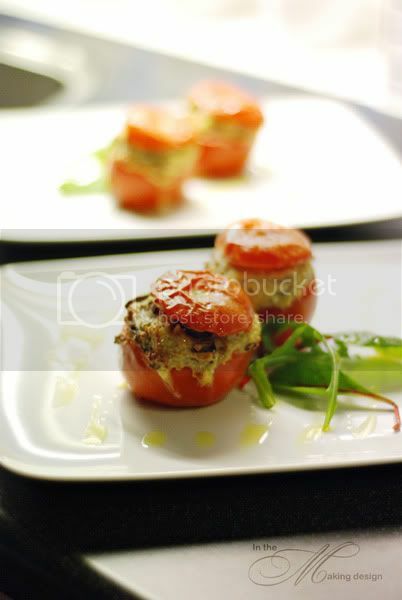 Ok, so I made pomodori ripieni (stuffed tomatoes) for the first course. The stuffing was made with mushrooms, nutmeg, and pecorino cheese. For main course I went with a deconstructed lasagna with an almond pesto on top. The recipe called for mushrooms, spinach, prosciutto, and riccotta cheese. I had forgotten to get spinach so I decided replace that with zucchini. That worked out well. I also added lemon juice on a whim. Look at me go - improvising! The almond pesto was the thing that called for clarified butter. Once I got that down it was a breeze to make. 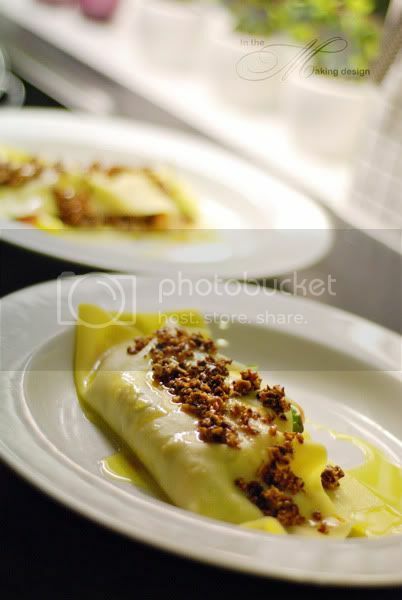 I made a mistake when I plated the lasagna and got way too much olive oil on there. The husband didn't mind that though as he loves olive oil. 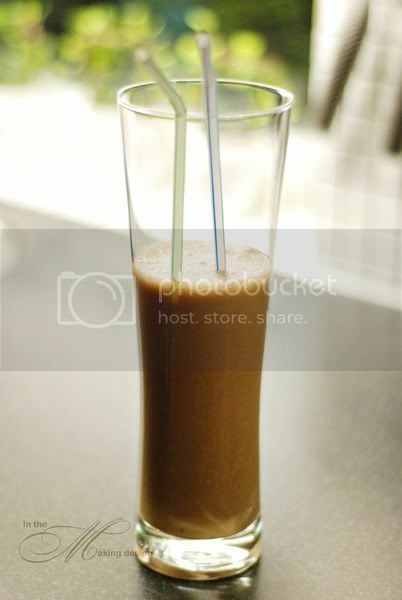 When it was time for dessert I was exhausted and so I went the simple route and made a chocolate/banana milkshake. Very easy to make but still delish! So that makes three for three. Next month the husband gets to decide the menu. Please pray he doesn't go overboard on the difficulty index. I am in AWE of these dishes you're making. I consider myself to be a fairly well-rounded cook and I wouldn't have the guts to tackle dishes this intricate.